As quantitative easing again gets underway the failure of QE1 becomes more obvious. The crisis worsens and the illusion of any recovery is light years away. Over the past three years almost $13 trillion that we know about has been thrown down a rat hole to bail out banking, Wall Street, insurance and selected elitist entities. The dollar figure is probably much higher. We will never know, because the privately owned Federal Reserve makes its own rules. Everything they do is a state secret. The five successful quarters were only a mirage. The funds have been vaporized among lending and financial institutions worldwide. There has been no accounting and there never will be as long as the Fed is not audited and investigated. We are in an inflationary depression and have been since February 2009. Massive injections of liquidity do not work, nor have they worked for centuries under these conditions. You cannot resurrect an insolvent country in a system that is corrupt. The controllers of the US economy are about to lead the American economy and financial structure into a great dark pit. The US and the world is soon to face a global breakdown deliberately engineered by the forces of darkness. As usual the Fed was late in applying remedial therapy and that will prove costly. The funding of US debt by foreigners has become very costly and some are jumping ship and some are even using their dollars to buy gold. The game is changing, but will other countries risk a worldwide collapse by not rescuing the US economy? We don’t know but it doesn’t look promising. Monetization is coming and most nations are frozen in the headlights. Washington and NYC have applied pressure over and over again, but their arrogance has not gone unnoticed. There is a pretense of control as unemployment climbs and stability comes more into question. Headlining unemployment, U3, at 9-3/4% is dumb, when anyone with any sense can see U6 and the bogus birth/death ratio. Yes, unemployment is 21-5/8% and for those who want to see the truth it is visible worldwide. Real estate continues to descend, as the consumer reduces debt and consumption. Much of the public is deeply disturbed and that has been borne out by the primary elections and the success of the Tea Party. We are hoping more than 50% of congress is thrown out of office. The more disturbed citizens that are involved in the sovereignty-secessionist movement, which has gained much traction over the past six months, the more people there will be stressing their 10th Amendment rights. People are thrashing around for answers with 14.3% living in poverty, 44 million on food stamps and every day more jobs are lost to free trade, globalization, offshoring and outsourcing. It is not surprising that Tea Partiers and secessionists want to dramatically change Washington and make radical changes in how the one party-two party system works. People have finally had it. They know full well where trillions of dollars went. That the US and European banking system were temporarily rescued. These were the same people who caused the problem in the first place and the public unceremonially is thrown a bone, like some stray dog. It is time for Americans to use their voting power to remove these criminals they voted into office. After January 2, 2011, America will have a lame duck president and a gridlock that will keep congress from creating any further damage. This will only be the beginning as people vent their anger at Wall Street and banking and its den of thieves. This tidal wave of rejection will really manifest itself when the elitist insiders in retribution collapse the stock and bond markets. Mark our words that will happen over the next few years, as will dollar devaluation and debt default. The ball has just started to roll and where it will all end up no one knows. The temple of the Federal Reserve and Wall Street could very well be doomed to destruction. The public now understands that Wall Street and banking own the Fed and they really make all the decisions and are the creators of all inside information. they profit on almost every trade. They cannot lose. They own the game. That is why for the last 18 months there has been an exodus of funds from the stock market to bonds, gold and silver and commodities. Naked shorting is rampant and the SEC and CFTC do nothing about it. Front running, known as flash trading, rigs every trade. More than 70% of trades are computer, black box driven by pros. Is it any wonder gold and silver hit new highs every day, Weiner & Waxman bring legislation to regulate coin dealers, when in fact they want to collect data on coin and bullion buyers. America has turned into a cesspool. The reaction of the public to this crime syndicate will be staggering. Glass-Steagall will return and the wall between brokerage, banking and insurance will be re-erected. The system will be stripped in a way that 1933 and 1934 could never imagine. The system will be purged of malinvestment and banks, brokerage firms and insurance companies that are now broke will be allowed to fail. No more two sets of books. The Fed is responsible for all this debt and failure. It all lies at the feet of those who control the Fed. These are the people who have deliberately collapsed the system for more profit and power and the imposition of their dream of world government. The illusion of wealth that the Fed foisted on the public is over and the public is not ready to fall for it again. The public realizes they and the system are insolvent and they are very unhappy about it. Any effort to revive consumption will be futile. Veiled and overt threats to the public and Congress, as we saw from Henry Paulson and more recently by Ben Bernanke, are not going to work. The public is spoiling for a fight and when that happens a fight is sure to ensue. If these malevolent creatures take down Wall Street and banking you can be sure Paris, On July 14, 1789 will look like a picnic. Our aristocracy had best heed the message or they’ll end up like the 300,000 who lost their heads so long ago. Hell hath no fury like an enraged mob. The elitists had better wake up and stop their games robbery and extortion. They have to come to an end. European bankers are terrified because they are equally broke. Their pursuit of austerity is commendable, but you do not raise taxes with 1% growth. This way you have austerity coming from both ends. This policy can only end in a very hard landing. They at least are smart enough to know that throwing money at the problem, stimulus, is not going to work. They realize the financial system is going to collapse and they are trying to find ways to ease the pain. Unfortunately there is no way to do so. They’ll take all the money and credit they can from the Fed, but they still believe those running the US from behind the scenes are suicidal. Like so many before them American elitists cannot entertain that their reign of power is over. Early in 2011 the real fireworks will begin. In spite of stimulus of various kinds the economy will falter and unemployment will grow. The plight of what is really, truthfully, going on in the country and the world will become more manifest to the public via talk radio and the Internet. Government, Wall Street and banking will get little public support. The Fed will start to run into major opposition from foreigners in the funding of debt. As the lender of last resort, the injections of capital needed will grow exponentially. What we will see is austerity and growing inflation at a level not seen since WWII. The people will become more and more disillusioned with the incompetence and growing impotence of the Fed and the administration. The public will become more and more enraged as they realize who has done this to them and why. That is why talk radio and the Internet will be so important in the future. They are almost the only way the public can learn the truth regarding their plight. More than 15% of Americans are experiencing what citizens experienced in the 1930s. Deficits will go exponential, but will not redevelop the economy. More and more funds will go to the destitute who will find it impossible to find work as our transnational conglomerates continue to move American jobs to foreign lands further crippling the economy. America is in a state of financial and economic collapse that will stretch out over years. Get ready to live like Americans did in the 1930s, 40s and 50s. The world that receives US dollars for its goods and services will no longer want to recycle them for worthless Treasury and Agency bills, bonds and notes. They will dump them on the market one way or another. The dollar now at 81.32 on the USDX will fall to 74, then to 71.18, and eventually to 40 to 45. In that process the dollar and many other currencies will be devalued and their debt defaulted upon. During that process the failure of these fiat currencies will, minute by minute, be reflected in the rising prices of gold and silver in markets that will eventually become free again. In reality no currency needs to be devalued. Gold and silver accomplish that daily. Why do you think since 1988 our government and those who control our government have suppressed gold and silver prices? Gold is the barometer of fear, the only real currency that owes no one anything. Gold and silver are the antithesis of fiat money. They are the only way to restore order out of chaos. Europe’s problems are not going away. Yields on Irish bonds continue to rise as well as those of Portugal reflecting concern that they may be in a position similar to Greece. In fact the spreads are near the highs experienced last May. Ireland’s yields jumped almost half a point last week. These events can only mean Europe is headed into further financial trouble and those problems will effect bond and share markets worldwide. Markets are looking for re-flation. Whether this is the case in Europe remains to be seen, but it sure is manifesting itself in European and US stock markets. European bond markets are showing pressure, but as yet it doesn’t seem severe. It looks like the markets are looking for a negative event and that could be in Greece in the form of a forced, change of government. In addition, we believe the markets are positioning themselves for a weaker dollar and to them that means gold and silver and commodities are headed higher. Most internationals believe that global government policy makers have the situation financially under control, when nothing could be further from the truth. Just how long do they think the public will tolerate severe austerity accompanied by inflation in the US and England and to a lesser extent in Europe? Greece could again prove a catalyst for problems that could spread worldwide. Leverage is certainly in play in world markets, but not nearly to the extent that it once was. No one has a handle on the degree of leverage, but in time we believe we will find it was a fraction of what occurred 2-1/2 years ago. On the other hand, world speculators are convinced there will be quantitative easing in the US, which they believe will definitely be followed in England and Europe. Contagion continues in many phases. We might even call it a lemming process. Europe feels they have seen the worst and they Are wrong. Europe has many problems that have not been solved including the near bankruptcy of five major nations. Do not forget as well that Germany has said that is it. No more bailouts. Close to $1 trillion was enough. We believe far more will be needed. If Germany sticks to its announcements that could be the end of the euro, which is back trading above $1.30, having bottomed close to $1.19. Don’t forget as well the 8-month rally on European exports is over due to this higher euro. 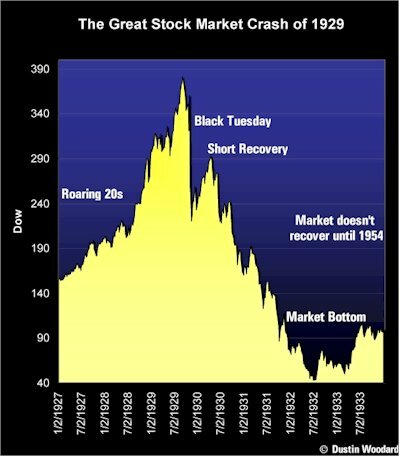 Bond dealers keep telling us the worst is over, but they do not have a very good track record, so we look at their statements skeptically, just as we do the dog and pony show called CNBC. We see danger in liquidity borne prices of stocks and bonds. Even speculative paper is selling at its fastest pace this year. There are obviously those who think otherwise as gold, silver and commodities move higher. Investors are chasing yields and it is the worst possible thing they can do. That always leads to a quality trap and losses. We learned our lesson on that count many years ago. The Fed and the Treasury have created an intolerable situation for those who need income. Retirees in their 70s and 80s should not be forced to chase yields. Deflation certainly has been an underlying factor in the US economy for the past seven years, only to be offset by money and credit creation. The issue is very complex and it is a constant question and understandably so. The entire world has offset deflation with inflation over that period. There is no question in our minds that higher inflation is in the offering and the antics of the Fed could very well lead to hyperinflation, before deflation finally wins out over a broken system. The path we are following may be fascinating, but it will also be devastating. A robust inflationary bias burns off very quickly. Inflation once used, as an instrument of control has to be continued indefinitely. If it isn’t the system collapses into deflation. Even moving currencies around by treasuries’ is not easy in a $4 trillion daily market. Look at Japan last week they spent $500 billion to weaken their currency and got next to nowhere. This is a strong indication of the limits of power of governments’ in currency markets. Government controls of markets are nearing an end. We do not have exact figures of the Fed’s intervention in the MBS, CDO, GSE and Treasury markets it has to have been at least $2.2 trillion over a one-year period plus the last stimulus package, which puts the number at $3 trillion. Unfortunately it looks like that will have to be done all over again for another year and perhaps two years. You say, where does it all end? Well it doesn’t – it just gets worse as purchasing power falls at least 7% a year, wages remain stagnant and unemployment rises, as government and the Fed cannot stem deflation even by creating $3 trillion, or so, a year. This should give you an idea of the trouble we are in. In this process unfortunately the dollar is being destroyed. Just think of what will happen if China, Japan and Korea have to sell or want to sell dollars? Are we to see competitive monetization? Of course we are. Alliances are one thing and reality is another. As we said 17 months ago what you are seeing is a battle between the US dollar and gold for supremacy and gold has already won. Those who realize and understand this know where we are headed. Those who do not could lose it all.